At Sequani we recognise the growing interest in applying specific biomarkers to the pre-clinical evaluation of novel drug candidates, both during discovery/lead optimisation and safety assessment. Our biomarkers team was set up in response to this industry trend and includes two leading scientists in the field. The biomarkers team forms a key component of our Biosciences division and is led by a pharmaceutical industry trained scientist (FIBMS) with over 25 years’ experience in biomarkers and clinical pathology. 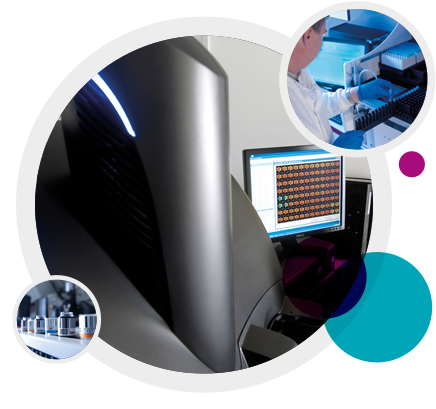 Mesoscale Discovery and Siemens immunoassay automated analyser technology are installed at Sequani and give access to wide-ranging assay menus in different species. We also have extensive experience in development and validation of bespoke ELISA assays; supported by our automated ELISA plate readers and liquid handling system. Our approach to the application of biomarkers to pre-clinical development is based upon a scientific evaluation to enable selection of the most appropriate marker to address the specific efficacy or safety issue under review. In selecting a marker, it is important to consider the anticipated clinical development plan so that, where possible, a marker is identified which can be translated from the pre-clinical to clinical setting. The inclusion of biomarkers in a pre-clinical development programme must also take account of the practical and scientific implications of collecting additional samples during the course of a study that may be submitted for regulatory review. Our scientific and technical specialists work closely with the Biomarker group to ensure the design of scientifically sound and technically feasible studies.